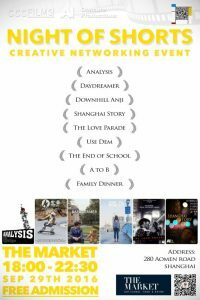 6 FILMS 3 DIRECTORS- A great night of Entertainment industry networking and short film screening at THE MARKET. Share the experience of networking with others in the creative industries while enjoying the films and the snacks and drinks from THE MARKET shops. Andrej Iliev, Gert Kombate, Richard Trombly will be there for Q&A after their films are screened. 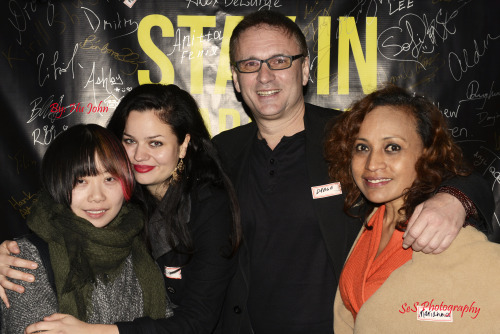 SHANGHAI, China – Aug. 29, 2015 – PRLog — Drago Lazetich, founder of STAY IN CHARACTER entertainment industry networking event, announced today the third installment of the popular gathering of people from across the creative professions. This one is martial arts-themed. Lazetich said the them reflects that Kungfu films are the most popular Chinese cinema worldwide. The event will feature a catwalk with fashion designers’ work and a martial arts kick. Guests are encouraged to show up in martial arts costume. Co-founder Marianne Kaulima of Design Publicist MKREATES says the events have seen unprecedented success. The first two events both welcomed hundreds of professionals to come together at top night spots in Shanghai such as the boutique luxury of the URBN hotel BeerGRDN and this coming event will be at Shanghai’s new night spot Sweet & Sour on the fashionable West Nanjing Road. 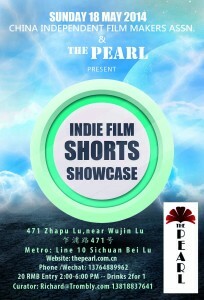 Richard Trombly is the Editor of China Indie Film http://china-indie-film.com/ and a co-organizer. He has been doing film-related events, short film contests, film festivals and screenings in Shanghai since 2006. He said a vibrant independent film scene is blossoming in Shanghai and the growth has been so strong that it was the right time to launch STAY IN CHARACTER in April of this year. American actor Zareh Martiross has attended both previous events and is eager for the upcoming event. He says members of the entertainment community have been really excited about these events. The last event happened during the Shanghai International Film Festival and featured a catwalk of the creative movie mask and costume designs of Mike Loh and Shanghai-based Uratz Studio. “Red Carpet” photography and video was shot by Hu John of Shanghai-based SeS Productions. Some SIFF attendees took the opportunity to join STAY IN CHARACTER to meet the local talents up close and personal. location: Sweet & Sour Restaurant, 698 West Nanjing Lu, 7F, Shanghai Near the line 2 West Nanjing Lu metro stop and across from Qinghai Lu and the Shanghai TV offices. Launched in April 2015 by a trio of long-term Shanghai film industry professionals, STAY IN CHARACTER is designed to support the entertainment industry through networking and events across the industry. Film and entertainment is a great medium of cultural exchange and the STAY IN CHARACTER events encourages local and international talents of all levels to come together to share expertise and experiences. Shanghai’s 80+ year old WuZhou Barbershop. Alexia Kalteis performs in the musical Rock On! Halloween at a popular theater in Shanghai. 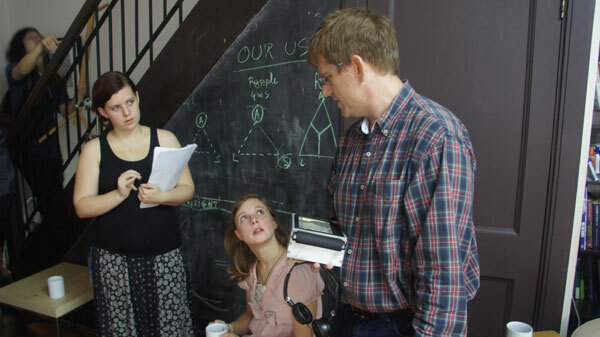 Independent filmmaker Richard Trombly coaches actresses Emily Feist (middle) and Emily Wallace-Kalouch (left) during the making of his latest production, Analysis. Hong Kong continues to be a movie magnet, but foreign actors and filmmakers with an eye on the mainland hope to cash in on the action as it moves to China’s financial hub. Matt Hodges reports.Drago Lazetich is among a growing stream of European and American actors who are banking on Shanghai’s motion picture industry becoming a top regional if not global player as domestic movies grow in stature, co-productions proliferate and new infrastructure takes root. Shanghai DreamWorks Animation, for example, is building a $2.4-billion entertainment complex in the city in conjunction with Chinese investment fund CMC Capital Partners. The project is already being touted as the next big thing after New York’s Broadway and London’s West End. This will mean more jobs for foreign actors, screenwriters, directors of photography and even visual effects’ artists as fresh opportunities arise and entrenched attitudes change, expats say. “I thought for sure before I came to China they’d have me playing bad guys, as a foreigner, but I can count the number of those roles on one hand,” says Lazetich, who claims to have “co-starred” in 50 films in China, although the majority did not involve speaking roles. His latest role as a Roman gladiator in Jackie Chan’s Dragon Blade saw him spend three weeks filming fighting scenes in the Gobi desert. “I’ve been a priest, a general for the Flying Tigers (squadrons of American pilots who fought for the Chinese Air Force in World War II), a US spy,” says the hulking actor, who studied for a time at the University of California, Los Angeles, and has a martial-arts background. He is wearing a black Warner Hollywood Studios bomber jacket and black Reebok Pump sneakers when we meet at a coffee shop downtown. Lazetich, who is in his early 40s, was born in Mostar, a city in southern Bosnia-Herzegovina. He got hooked on showbiz as a cast member of the Mighty Morphin Power Rangers World Live Tour in 1995. He earns between 400 yuan ($65) to 3,000 yuan a day, depending on whether the role is silent or scripted and is about to work on an indie movie that will be filmed in Shanghai and Beijing. He hopes this will be his big break. Shanghai has carved a role for itself as a magnet for big-budget Hollywood flicks in recent years from Mission Impossible III (2006) to Skyfall (2012), Looper (2012) and Spike Jonze’s Her (2013), which featured several futuristic-looking backdrops in Pudong among other shots. The city’s under-construction “Dream Center” will include the film production facilities of Oriental DreamWorks. One of the studio’s most high-profile animations, Kung Fu Panda 3, is due out next year. One-third of the animation work is set to be done in Shanghai. The city is also set to open its much-anticipated Disneyland at the end of 2015. “Shanghai, in my opinion, is the new Hong Kong,” says Austria-born actress Alexia “Lexi” Kalteis. Like Lazetich, Kalteis has been living and working in China for about a decade. She studied Chinese and acting at the Shanghai Theater Academy and now serves as co-chairperson of the city’s East-West Theater. Among her film credits are stints in the Jet Li flick Fearless and The Painted Veil starring Edward Norton (both 2006). She also teaches drama at a local primary school. “So many movies are going to be shot here. The rate has already shot up so much since 2004. There wasn’t much work for struggling actors back then, but the competition is increasing like crazy now,” she says. Hong Kong became synonymous with bloody police-gangster flicks and martial arts movies in the late 1980s thanks to directors like John Woo and stars such as Chow Yun-fat. For decades, the territory’s motion picture industry was only bested in size by Hollywood and Bollywood. Then South Korea crept in and stole the show with ultra-violent hits like director Park Chan-wook’s Vengeance trilogy (the second installment, Old Boy, reached theaters in 2003). One of the biggest releases from South Korea in recent years seems to point the way forward: Na Hong-jin made the male leads of his excellent thriller Yellow Sea two ethnic-Korean Chinese from Yanbian, Jilin province. Having rival gangsters from both countries engage in a long bloodbath was guaranteed to draw an international audience. Lazetich, meanwhile, is keen not to put all of his eggs in one basket. He says he has found a niche with Wise Hit, the web series he both stars in and directs. The spoof Western set in a modern Asian city has met with enviable success on KoldCast.tv and Blip, another online platform for original web series. Given the explosive growth of Chinese cinema, it is little surprise that local productions are creating more speaking roles for expats, with the caveat that they often have to say their lines in Chinese. “I like the fact that most of the roles I’ve been playing recently are the good-guy roles, not the stereotypical ‘bad foreigner’ that seems to be all too prevalent in Chinese productions,” says Karl Dominik, who owns Constellation talent agency in Shanghai. 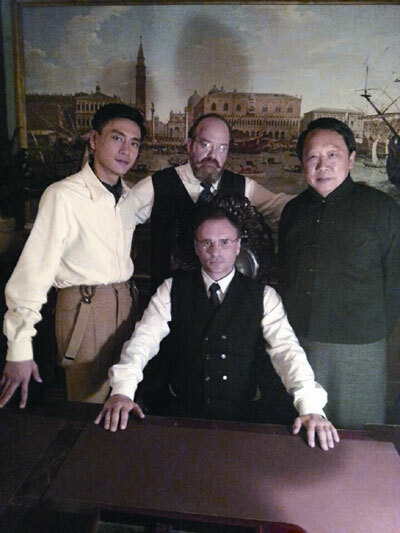 Another of Shanghai’s top foreign acting talents, Englishman Charles Mayer, had a high-profile supporting role in Yip Man 2 (2010) as a corrupt police sergeant in wartime Hong Kong. It was exactly the kind of racially charged role people like Dominik are eager to avoid. “Things are changing, which is great, because there are some real acting heavyweights here like Arran Hawkins, Christy Shapiro and Jim Bennett,” says Kalteis, reeling off a list of well-known names among Shanghai’s theater community. “The Chinese used to treasure looks way above acting skill. If you weren’t model-skinny they weren’t interested, but now they appreciate real talent,” she adds. Others say Beijing offers greener pastures than China’s glamorous commercial hub. Richard Trombley, a Beijing-based independent filmmaker, left Shanghai several years ago to forge closer ties with industry figures. He says he is now seeing his efforts bear fruit. “All the big deals these days are done in Beijing. It’s still a bit more government-run than in Shanghai, but the industry is also more developed and professional here,” he says. “Commercials, corporate videos and indie films are really the way to get your foot in the door,” he adds. 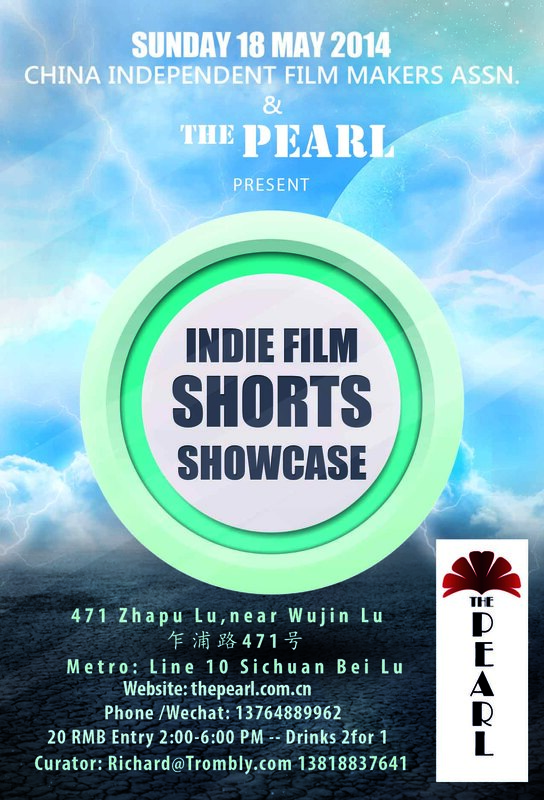 ​The Pearl is hosting ​some great ​China​-shot ​short films with a number of the directors on hand to introduce their work. Obscure Productions’ own short film ANALYSIS, directed by Richard Trombly will be screened. Tim Chu is an aspiring filmmaker from China. While in college, he majored in information systems, which really builds his attention to detail, accuracy, and attitude of science.Somehow Tim has developed interests in film.Tim joined Shanghai’s English stage group “East West Theatre” in early of 2006, and performed drama and comedy with foreign actors on stage in Shanghai. Eventually, the diversity helped him work on production of commercials and feature film, where he received training on overall aspects of commercial making and production. 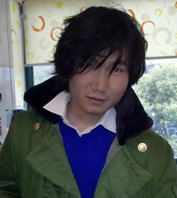 Obscure Productions cooperated with Chu on his first short film “Shattered” and since that point in time, he also directed a really solid work called Wednesday Girl. 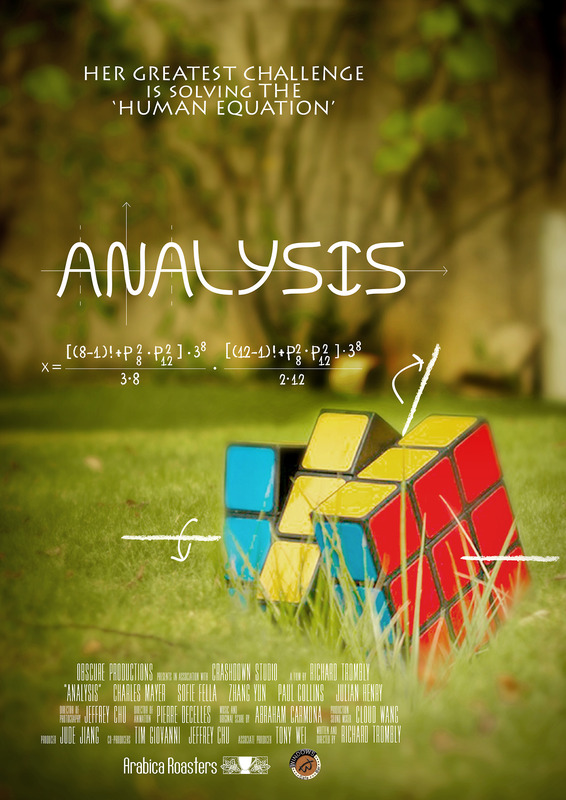 Analysis is the story of Tina, a socially awkward 13-year-old math genius who uses her expertise as armor against the harsh realities of the world. This brilliant youth is facing several layers of isolation: from her family, her peers and society in general. She immerses herself into solitary academic pursuits using her genius in mathematics and her vivid imagination to protect herself against the pain of growing up as an outsider. Even if the math foundation behind Analysis is beyond you – the conflict is something everyone can relate to, since we all have been the outsider at some time. As a youth, I retreated into books as my fortress. I was especially interested in science fiction novels with the fantastic worlds they created and the way smart protagonists discovered brilliant solutions. Issac Asimov’s Foundation series was compelling to me in that it presented a future where a super computer could model the world so accurately that it could interpret the future to even a human level. This compelling idea was blown away by the development of chaos theory, the idea that you could never have enough data to predict the future because of the infinite possibilities presented by chaos (like the butterfly effect). 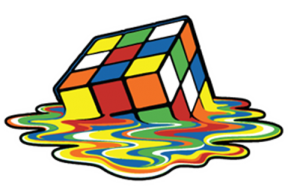 But Stephen Wolfram discovered that when a system reaches a certain level of complexity, modeling it does not become more complex, so even an infinitely complex system can be modeled. 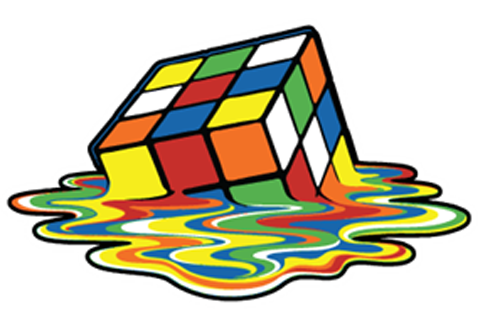 So with recent mathematical developments in group theory combined with vast advances in computing power, I saw how Asimov’s mathematics for modeling – anything from predicting the weather to human behavior – were back in play. Rather than defining every variable, it borrows the idea from group theory recognizing that even infinity has certain bounds and you can define certain infinite possibilities to a group (like all the possible infinite ways cream can dissolve into milk, it will always disperse evenly in the end.) Would unbounded computer power and the right algorithm dispel the illusion we all hold of our unique individuality? 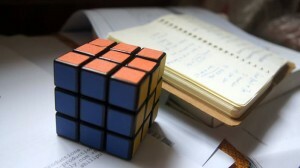 Computers have removed the mystery from both the Rubick cube and chess since they have reduced it to its basic algorithms and shown that pattern-recognition, more than intelligence, leads to superior play. However computers added some magic to the study of biology and genetics through the work of “cellular automatons” developed first by Stephen Wolfram. Very simple instructions in very few binary switches can create incredible complex patterns, he discovered. This lead to simple modeling of very complex systems. It was key that I base Analysis upon real math and tackle it in the production. I have seen many films involving math geniuses and they tend to avoid the hard science and leave the math as a “macguffin,” a mere plot device. We are told the scholar is a genius but do not really see the math. Our challenge was to bring in the math without loosing the audience. One way to do that was to have solid math explained in plain terms by a child. Another point about math geniuses on film is that they all seem to face psychological problems. 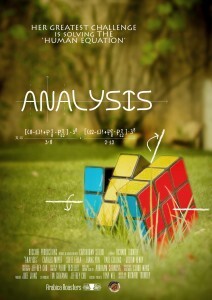 This lent itself to choosing the title Analysis – since it refers to mathematics as well as psychology. This project also references Aspergers Syndrome, a generally mild form of autism characterized by social awkwardness, not maintaining eye contact, lacking non-verbal communication skills, difficulty perceiving others feelings, obsessive interest in narrow subject areas (e.g. mathematics, computer programming), and savant-like knowledge. I grew up in the college community around Amherst, Massachusetts where Augusten Burrows (Running With Scissors) lived with his brother, John Elder Robison, who has Aspergers. I also have members of my own family who live with Aspergers and have raised a child who excels in math. I thought about how the people living with Aspergers find difficulty piercing the veil of social interaction and relationships but this is not a tale about mental illness, in the teen years, everybody faces challenges in socialization. Could computers help them decode the mystery of communicating with and relating to their peers in the same way it can win at chess or find the fewest moves to solve the cube? What a relief it would be for any child since they face such intense social pressures. Or will it cause them to withdraw and become less social as they descend deep into their virtual worlds that may seem more rewarding than the real world? That is the conflict Tina faces in this story. 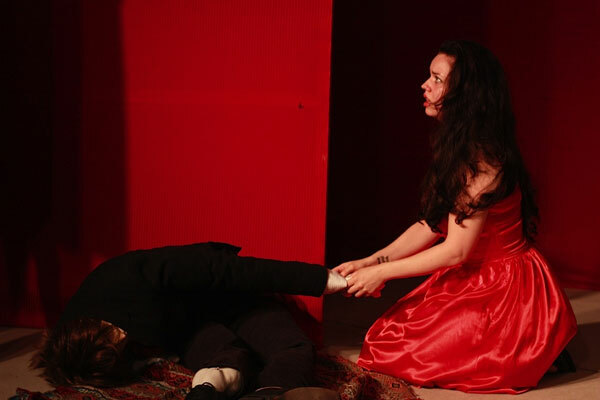 The choice of Shanghai was the ideal backdrop for this production because it is perhaps the only truly cosmopolitan city in mainland China but the international community remains isolated from the Chinese society. 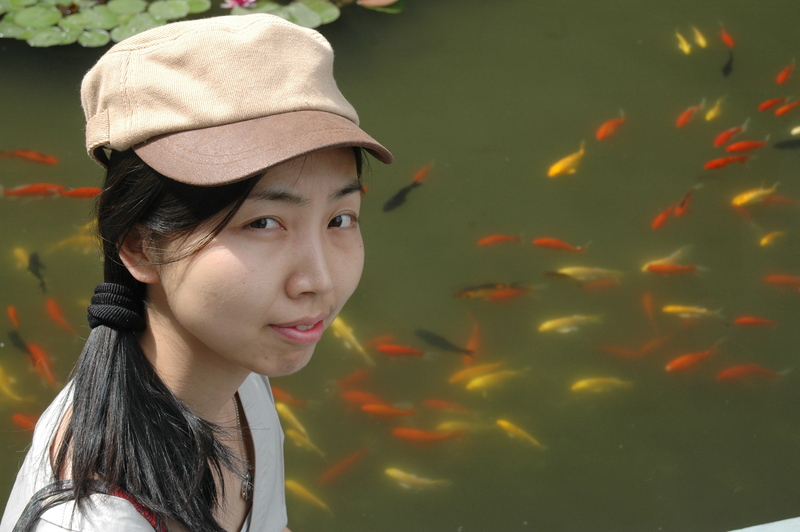 This theme of isolation plays out on many levels as the bulk of the story occurs in the international community with “third culture” kids and Tina has both Chinese and English heritage. 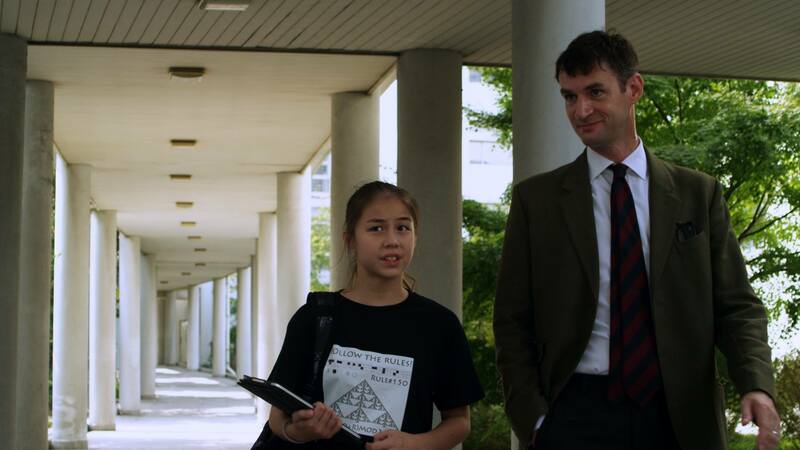 Even though this production was shot in English, the lingua franca of the expatriate community, the conflict of overcoming isolation is relevant to Chinese youth who are so programmed, over-scheduled and are under so much pressure in school, that they have little chance to explore their identity or social interactions. Jude Jiang is a partner at www.obscure-productions.com and Producer of our short film “Analysis”. Here is her insight on why she produced this film with director Richard Trombly. “I was thinking about the target audience of ANALYSIS. The so-called mainstream movies present the conventional emotions like excitement, happiness, pleasure, tragedy and such. These emotions easily can be understood and well accepted by ordinary people. And the conventional theme these movies present is closely related with love, suspense, action, hero and such genres. But ANALYSIS doesn’t attempt to present or show that to people. Instead, it wants to explore something hard to be understood but necessary to be told. Because it seriously touches the topic of how human is naturally anti-social and also related to the social. It’s definitely not something light. I think what’s really special about ANALYSIS is that it did it through a teenager’s perspective. An Asperger syndrome person’s POV. Which is more intensely exploring this theme of being socialized or not. A lot of times, i have the awareness that when i get hurt, i want to hide in my little shell, but there will always appear an attractive reason for me to get out of the shell. And the circulation actually goes on. It never stops. Being socialized or not ? and how to be the self by not hurting the others?